The front buffers are my self-contained spring type. 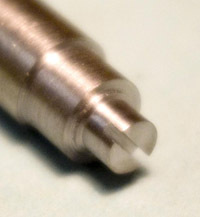 The first photo shows a steel blank with the buffer stem turned, and a slot for the locking wire cut using a slitting saw. The second photo is a brass blank with the buffer body turned. 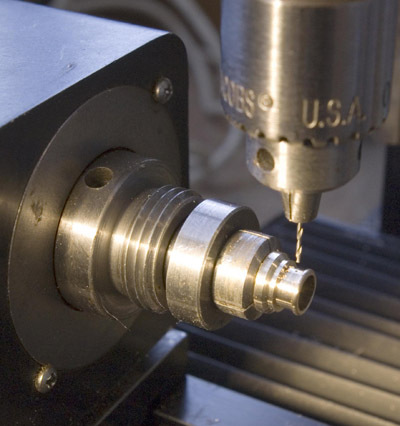 It is held in the dividing head and is ready to drill for the locking wire. The third photo shows the buffer head parted off and finished, and the slot is closed with a thin piece of material soldered to the end of the stem and dressed back to the stem diameter, together with the body ready to assemble.